In any country’s courts of law, there are many cases that are called “the trial of the century.” These often involve famous persons and unusual circumstances. In many cases, the evidence seems to be so conclusive that the verdict is considered obvious. But as these cases prove, what seems to be conclusive evidence might be twisted by the wealth or status of the accused, or produce results other than the desired sentence. The guilt or innocence of all parties involved is unknown. The bottom line is the finding of the Court in each case. 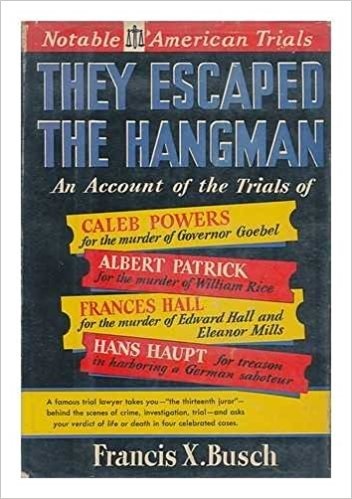 While the author obviously believes they should have been hanged, and make his case for each trial in well-written prose, history has probably written the final thoughts in these four cases.